Axia Digital is again sponsoring the annual NET networking for education and health care conference being held at Churchill College, Cambridge. The conference is the first one to take place since the launch of the new Nursing standards and there are several presentations highlighting the work of the pan area groups, which are now developing regional practice assessment documents across the country. Creating pan area assessment documents based on the pan London document now appears to be a given. Indeed, there is momentum to create a national document. Several partnerships are also planning to have a digital version of the new assessment document(s) when they are finalised. The session on ‘Partnership Working’ at the conference demonstrated how much progress had been made with pan area projects. It is a major step forward that nurse practitioner and academics are taking control of the process of introducing the new standards rather than having the process dictated to them. It also highlighted some of the opportunities that would be presented by having a comprehensive data set of assessment practice, that would be easier to access and review because it was online. There was a commitment at the workshop to not only replicate the paper document but to explore innovative approaches to assessment. Some of the challenges were also acknowledged. Various presenters made a plea to ensure that there was a consistency with respect to the roles of those involved in assessment. In our experience this is particularly necessary for academic staff, who are often caught between the demands on them from their host Universities and their students/mentors. Digital assessment potentially provides an answer because it does reduce the time checking portfolios, as well as enabling those portfolios to be accessed throughout the year. However, those benefits are only delivered if there is clarity about the role of what is to be called the academic advisor. 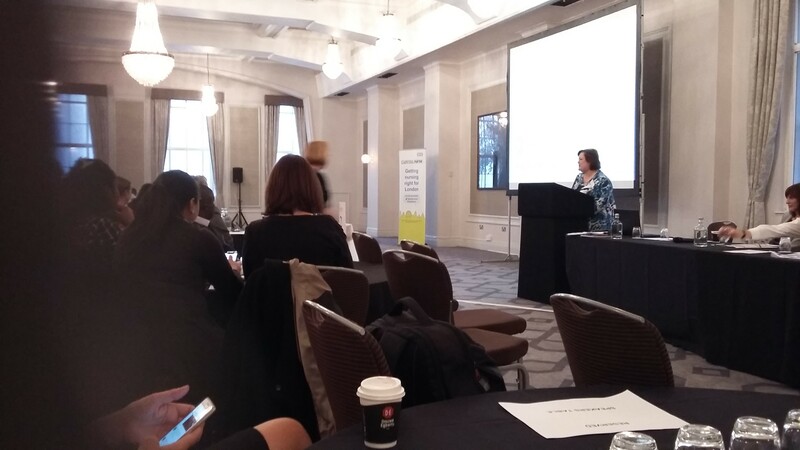 One of the emerging themes, from the meetings that have taken place across the country about the new Nursing standards that were launched by the Nursing and Midwifery Council (NMC) at Easter, is the enthusiasm for adopting digital assessment. The Universities we have worked with for more than five years deserve great credit for this development. They took the bold step of converting their paper assessment documents to electronic ones and as a result transformed the way Nursing, Midwifery and Allied Health Professional skills have been assessed. All the evidence is that not only are there significant savings in time and resources but the quality of the assessment is improved. For our part we have demonstrated that our core technology has always proved itself fit for purpose and we have never had to fundamentally change it however that does not mean we have stood still. Each site we have developed has contained new functionality. For our latest site at Oxford Brookes University we have made all functionality accessible with one click and we have added the ability for tutors to add simulated hours to multiple student records with one action. We are already talking with individual Universities and pan area groups about innovative ways of assessing the new standards and we look forward to continuing those discussions at the NET conference which we will again be attending. With each University we have worked with we have discovered their innovative approaches to delivering education to nurses and other health professionals. As a result each time we have developed a site for the online assessment of professional practice, we have adapted our platform to enable the University to continue to use their innovative assessment practice. At Bournemouth University we adapted the platform to accommodate their flexible structure for placement and at Surrey University we introduced a ‘PIN,’ which enables the device being used to make an assessment(s) to be swapped between the student and mentor. 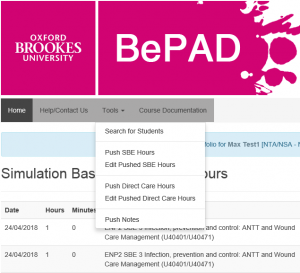 BePAD is the site we have recently developed with Oxford Brookes University and it is being used to assess the practice of Nurses and Paramedics. Oxford Brookes University make use of their advanced simulated learning laboratories, to sign off some of the skills that student nurses need to demonstrate, often in advance of starting in a practice setting. On most occasions simulated learning is delivered to groups of students. This new functionality enables a tutor working with each group, to push details of the simulation based learning including the number of hours, into the portfolio of each student who attended the session with one click, thereby reducing the time spent going into each individual portfolio. To view the site go to https://bepad.org.uk and look at the ‘How-to use the BePAD Guides at the bottom of the page. 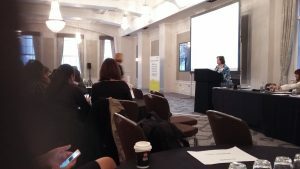 The CapitalNurse DigitalCareer Framework tool was launched on January 17th 2018 at a prestigious event at Connaught Hotel. It has been a great project to work on because it makes full use of Axia Digital’s knowledge and expertise. The CapitalNurse Digital Career Framework is a free-to-use digital career tool for all nurses, designed to advance a London-wide approach to career progression. It enables nurses to reflect on their practice, receive and review feedback from peers and service users and have a structured career conversation with a facilitator. We are delighted to have been able to work on this project because we can offer our longstanding involvement in Career Development; our intimate understanding of the nursing profession and our ability to apply the latest technology to create a highly sophisticated but easy to use tool. One of the first major projects the company developed was Learndirect Futures which helped Adults discover their skills and interests and use this information to identify career options for them. It also included a full range of tools that were designed to help individuals develop their careers. Our involvement with the Careers development has continued and we supply the online national Register of Careers Professionals. Nursing, Midwifery and other Allied Health Professionals have always been at the heart of this company’s work. One of our first sites was the Learning Zone for the Royal College of Nursing and we now support members of Health professional bodies capture evidence of their Continuous Professional Development in the UK, Ireland and internationally. We have also converted the paper assessment documents for Undergraduate programmes at several Universities into a digital format.In terms of the technology that supports this CapitalNurse Digital Career Framework tool the company has recently been exploring the innovative ways that 360 feedback tools can be used to support Career Progression. Axia Digital will be holding a celebration event on Friday to mark its 20th anniversary. The company is enjoying a period of growth in customers and staff and there are now over a million users of our sites worldwide. The celebration event will provide an opportunity for the existing team to meet with previous Directors and employees. ‘The purpose of the event is to thank all those who have supported the company throughout the years. We are delighted that two of the original Directors Bronwen Robinson and Barrie Hopson will be attending. Without their support and that of other former Directors who be attending we would not have reached this important milestone. Our unique offer lies in our ability to deliver to our customers exactly what they require. We do not have products but instead a platform which we can use to mirror our customer processes. None of our customers need to change what they do to fit into our system, our system is flexible enough to reflect what they currently do and enhance the user’s experience. Since 1997 AXIA Digital has been helping organisations capture and assess skills and competencies that are demonstrated in a professional setting or in the workplace. We create leading edge digital solutions, which mirror and then enhance existing assessment systems. Our solutions are all individually hand crafted but are deployed on the same platform.